British MPs today offered support to representatives of Indian diaspora groups campaigning for action against perpetrators behind the desecration of the Indian flag. LONDON: British MPs today offered support to representatives of Indian diaspora groups campaigning for action against perpetrators behind the desecration of the Indian flag and attack on a journalist during anti-India protests in London last month. Veteran Indian-origin MP Virendra Sharma, chair of the Indo-British All Party Parliamentary Group (APPG), organised a meeting in a committee room of the House of Commons today to evaluate the next steps following representations from Indian community groups. He was joined by fellow Labour party MP Seema Malhotra and Conservative party MP Bob Blackman. "We are very concerned by this incident, which involved damage to property and a violation of freedom of speech involving an Indian journalist. It is important that community groups take the lead on this and pursue this issue," said Sharma. "It is vital that all the physical evidence available is gathered together and lodged with the police in the form of a criminal complaint, said Blackman, who also plans to initiate a cross-party Early Day Motion (EDM) in the Commons to draw attention to the issue in Parliament. Earlier today, a letter addressed to British Prime Minister Theresa May was handed over to Blackman outside 10 Downing Street by Indian Supreme Court advocate, E V Venugopal, who has offered his legal support to UK-based Indian diaspora groups. "These demonstrators were raising slogans calling for the creation of 'Khalistan' and Kashmiri separatism. It is clear these purveyors of hatred will never limit their actions to non-violent protest. Their ideology invariably culminates in violence against the innocent," the letter notes. The Ministry of External Affairs (MEA) had said the Indian government was "deeply anguished" by the incident of the Indian flag being torn down from a flagpole at Parliament Square in London on April 18 during Prime Minister Narendra Modi's visit to the UK for the Commonwealth Heads of Government Meeting (CHOGM). "We received an allegation of assault on 19 April relating to an incident in Parliament Square on 18 April. No arrests. Enquiries continue, a Metropolitan Police statement said. However, Venugopal believes there are sufficient grounds for the police to take suo moto action against the protesters for criminal conspiracy. The Prime Minister of India was in the country and this action amounts to waging war against a nation, he said, adding that his group will consider approaching the International Criminal Court to take cognisance of the agents of violent and radical ideologies that threaten the peace of nations and all of us." 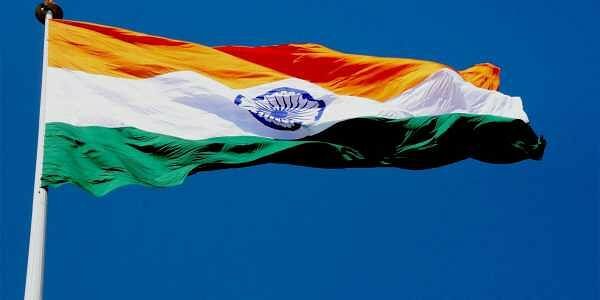 An online petition on change.org launched by the Friends of India Society International (FISI) UK demanding action against the culprits who tore down Indian flag under the eyes of British police has attracted nearly 22,000 of the 25,000 target signatures. They now plan to build further momentum behind the petition to raise 100,000 signatures for the issue to be considered for a debate in the UK Parliament. The UK Foreign and Commonwealth Office (FCO) had expressed the UK government's "disappointment" over the incident with the Indian High Commission in London. The Indian diaspora groups dismiss the expressions of disappointment and say they want "action" against those involved. The perpetrators, caught on camera with the Indian national flag, had been brought together under the banner of the so-called "Minorities Against Modi" group, led by Pakistani-origin peer Lord Ahmed. A senior broadcast journalist from an Indian television channel covering the protests during the Modi visit last month, who was caught up in the incident, has had her police complaint with the Met Police registered as a hate crime. British MPs have called upon the Indian diaspora groups to unite over the issue and present all the documentary evidence to the police to push the investigation forward.